I can’t let today pass without saying a word or two about the tragic events of eleven years ago today. Unlike most Americans, at least as far as I can tell, these events were tragic to me for many reasons. I am somewhat ashamed to note the many people who mourn the loss of those nearly 3000 who died as a direct result of the attacks of 9/11, yet seem to show little or no feeling toward the loss of lives that came about as a result of the actions the United States and other nations took in seeking vengeance for these attacks. 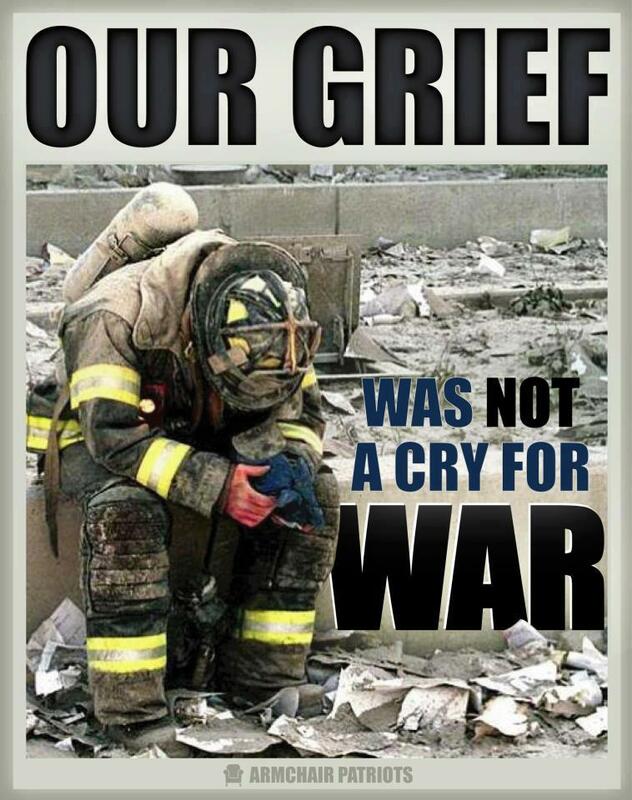 I don’t wish in any way to denigrate the innocent victims of these heinous acts, and I am especially mindful of the hundreds of first-responders who lost their lives performing the duties they were sworn to in order that others might live. I respect and honor their devotion and the sacrifices they made – and continue to make – on our behalf. Nevertheless, in the wake of this tragedy we engaged in two wars – at least one of which was entirely unnecessary – and was, indeed, a war of aggression based on lies and deception. While it’s impossible to get an accurate figure, an average assessment of the number of Iraqi civilian deaths — based on numerous estimates — indicates there have been at least several hundred thousand civilian deaths alone (cite). There have been over 4400 U.S. deaths and 32,000 wounded in Iraq (cite). The death toll in Afghanistan is so muddled it’s difficult to determine how many civilians have been killed as the result of our activities and how many might have been killed by the Taliban regardless. There have been over 3,000 coalition deaths (over 2,000 U.S.) and approximately 24,000 wounded. In addition, over 14,000 Afghan security forces personnel have been killed (cite). Our nation’s cry is “Never Forget”, and we won’t. We shouldn’t. However, we must always be mindful that great injustice was done in the name of those who perished on this day. We should also continue asking questions not only about why we did what we did, but what actually happened on 9/11. I doubt the truth has yet to be told. Keep your eyes and ears open.